Vermont Gov. Phil Scott used his veto authority Wednesday to block marijuana legalization from becoming law in his state, but he did so with a tone that was more “not now” than an outright “no”. A Vermont prosecutor is the son of a couple arrested last week in Nebraska with 60 pounds of marijuana they told police they planned to give as Christmas presents. Chittenden County State's Attorney Sarah George said Tuesday that Justin Jiron, the chief deputy state's attorney for the county, is not connected to his parents' alleged crime. "Justin is in no way connected to this allegation other than by relation," George told the Burlington Free Press. "Justin is and has been a dedicated public servant for over 15 years and I assure you he is as surprised and upset about these allegations as anyone." Police arrested Jiron's parents, 80-year-old Patrick Jiron and 70-year-old Barbara Jiron, on Dec. 19 following a traffic stop in York, Nebraska. They were found with an estimated $300,000 worth of marijuana in their vehicle, authorities said. With marijuana legal in Massachusetts, you will soon be able to enjoy weed products at cannabis cafes. They told police they were driving from California and planned to distribute the marijuana as gifts to relatives in Vermont and Boston. The Jirons told police they were unaware it was illegal to transport marijuana through Nebraska. 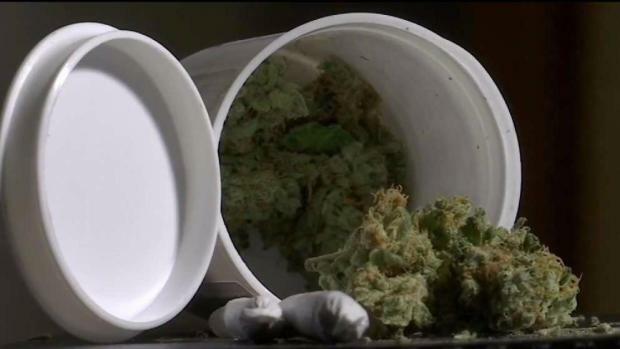 The couple has been cited for possessing marijuana with the intent to deliver. George said Justin Jiron continues to perform his duties in office, which include handling criminal prosecutions in the county.